This chapter provides a profound analysis of regional security cooperation in the SADC and focusses on the institutionalisation and performance of the organisation’s central conflict management institution, the Organ for Politics, Defence and Security (OPDS). 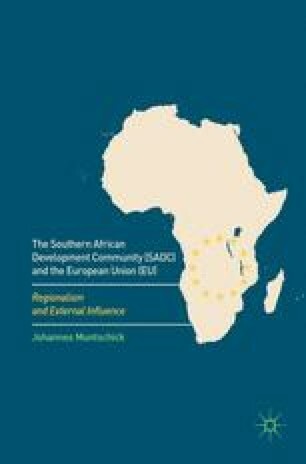 By clarifying the regional security complex in every detail, Muntschick highlights the countries’ common demand for institutionalised regional security cooperation and reflects on the conflicting interstate interests on the institutional design of the SADC’s central security organ. External actors play no significant role, but a lack of compromise between the leading military powers, South Africa and Zimbabwe, is initially responsible for lukewarm regulations and institutional paralysis of the OPDS. The re-launch of the Organ led to an improvement, but there are still weaknesses with regard to common military and conflict management operations. Republic of Namibia. 1993. Statement on Defence Policy. Windhoek: Ministry of Defence. http://www.mod.gov.na/documents/264813/280846/DEFENCE+POLICY.pdf (12/04/2016). Republic of South Africa. 1996. Defence in a Democracy. White Paper on National Defence for the Republic of South Africa. May 1996. http://www.dod.mil.za/documents/WhitePaperonDef/whitepaper%20on%20defence1996.pdf (12/04/2016).